The 49ers announced that linebacker Patrick Willis has been rewarded NFC Defensive Player of the Week honors for Week 5. 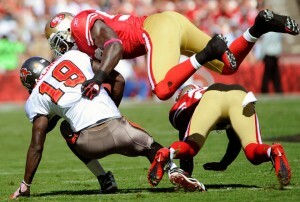 Willis recorded 12 tackles and a fumble recovery in the team’s 48-3 thrashing of the Buccaneers on Sunday. For the season, the four-time Pro Bowler has a team-high 40 tackles with four passes defensed, a forced fumble and two fumble recoveries. Furthermore, the Mississippi product spearheads the fourth-best run defense in the NFL. 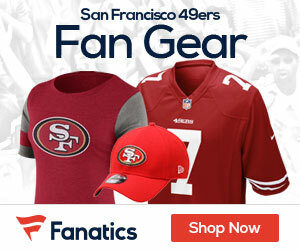 Be the first to comment on "Patrick Willis named NFC Defensive Player of the Week"